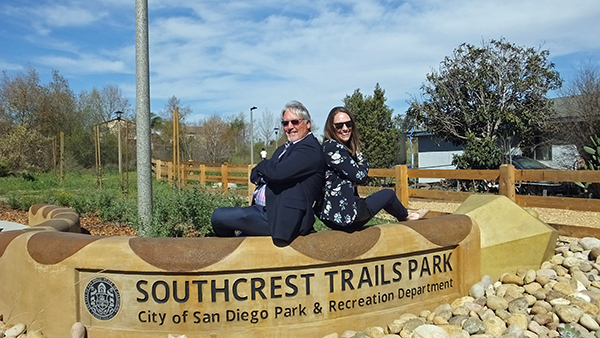 Using land originally cleared for freeway use and then abandoned in the 1970s, the newly revamped Southcrest Trails Park officially opened on Friday, February 16, 2018. 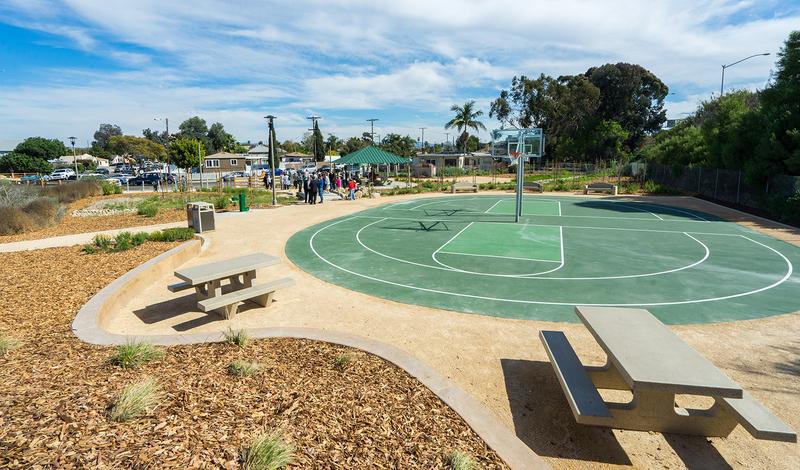 The 2.6-acre park is located at Beta and Birch streets, east of Interstate 15 and north of Interstate 5, and was built by the nonprofit Civic San Diego with a state Urban Greening Grant and bond funds. Landscaping utilized drought-tolerant plants. The park site also included a strong theme of the local flora and fauna that played off the adjacent Chollas Creek corridor. Children’s play equipment with climbing rocks, animals and sand play areas with fossils were incorporated into the site, along with walls and monument signs mimicking snakes. 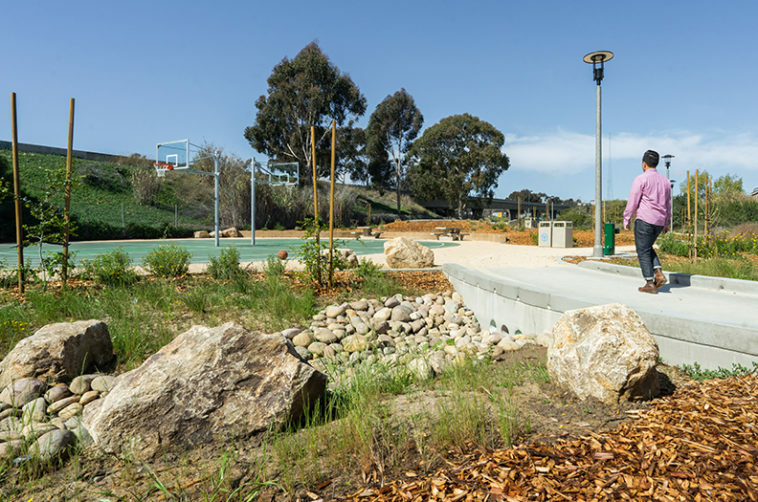 The site also included group picnic areas with shade shelters and barbecue grills, game tables, a trail system with exercise equipment located along the trail, a basketball court, a large amphitheater, and a skate plaza. Being so close to the creek and given the newest stormwater regulations, special attention was given to the water quality and hydrology of the site. 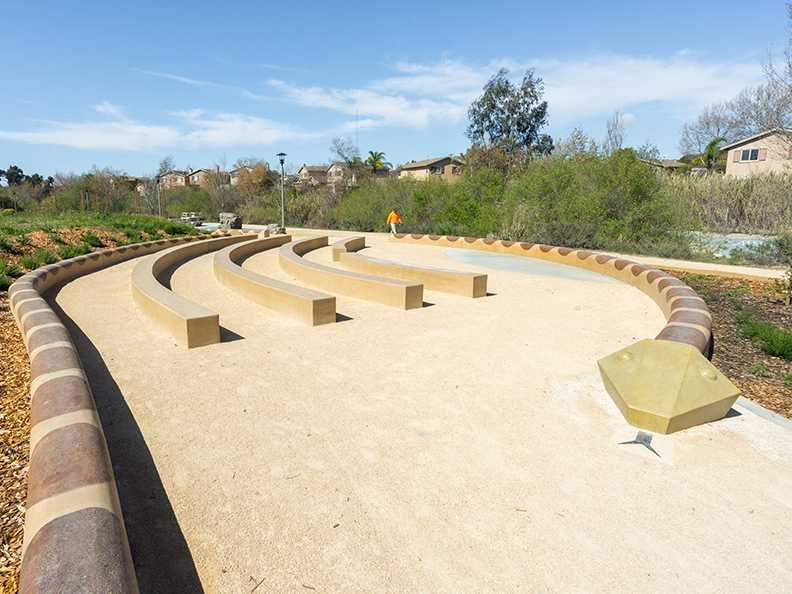 Public art was also integrated into the site in collaboration with a local artist through the City of San Diego Commission for Arts and Culture.